Summer is a time for adventure. As a kid, my friends and I discovered the mysteries of a nearby wood that bordered a swamp, looking for all manner of flora and fauna. On rainy days, I solved mysteries with Encyclopedia Brown, found a passage to Narnia, consorted with all manner and color of fairies, swashbuckled with the Musketeers, and went to the South Seas with Pippi Longstocking. It is no wonder that I look for adventure in the summer. 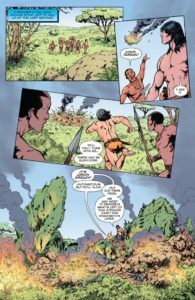 Bill Willingham’s fandom went a different direction, towards the world of Edgar Rice Burroughs with jungles and hollow worlds and travellers to Mars. 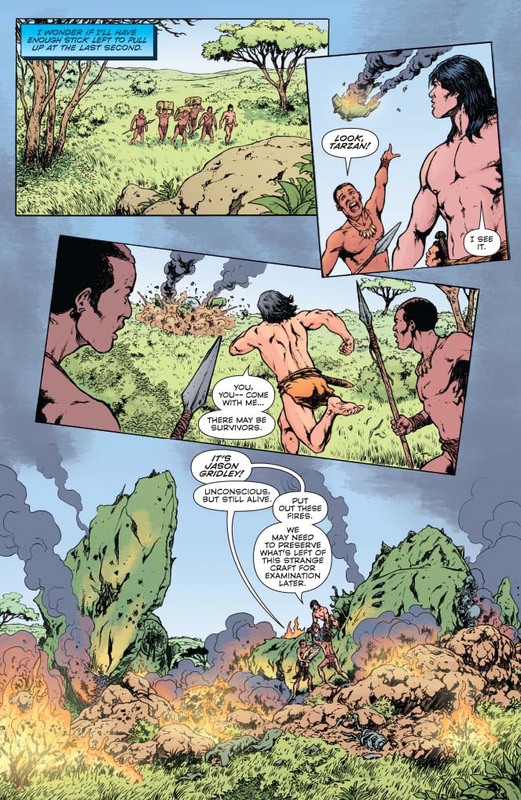 He very much wanted to write a story where John Carter of Mars met Tarzan. If you are familiar with Willingham from Fables, you know that if there’s a possibility that if these characters ever inhabited the same universe (and they did), Willingham is the best writer to put them in the same story. 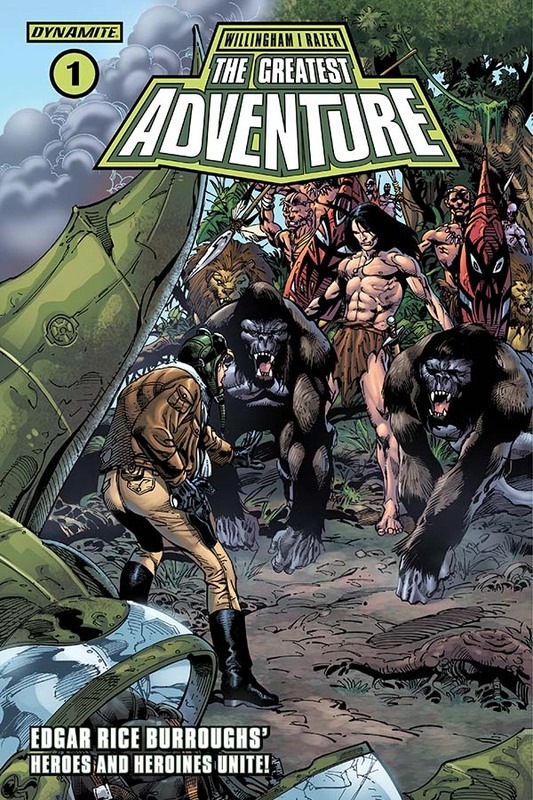 In this first issue, he’s managed to pull major ERB characters like Tarzan and Jane, Korak the Killer and Ulysses Paxton off on an adventure lead by lesser-known Jason Gridley and accompanied by Billy Byrne (the Mucker), the Oskaloosa Kid, and Shannon Burke (a Girl from Hollywood). Gridley invented something called the Gridley Wave, which allows for instant communication between the surface and lands deep inside the Earth; also from planet to planet. 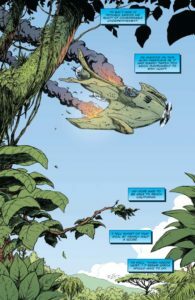 He’s been apprehended by men from the planet Karis who want to weaponize his discovery, and naturally he escaped before actually helping them. Now he has to gather his other Gridley Wave sets before they fall into the wrong hands, and then find the missing piece of the puzzle so that the Karisians can’t use it first. The tone of this is perfect – the language is a little formal without being too dated. it just gives a feeling of another time, which is how it should be. Many of the characters already know each other, which saves a lot of time in introducing everyone. We’ll get to know them as the story unfolds. 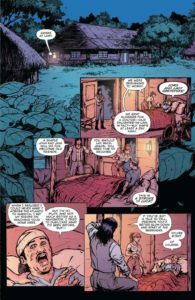 Cezar Rezek’s art is pitch-perfect for Willingham’s tale. 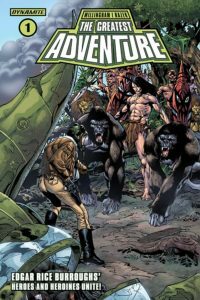 If you’ve seen his work on Red Sonja and Doc Savage, he’s uniquely qualified to illustrate a story based on pulp novels. Every line feels authentic – just clean enough to encourage the modern reader to check this story out, but just dirty enough to let you know that this is no fairy tale. His lines are bold, but can still trace a cloud and make it intangible. Paired with Miwa’s classic colors, you are lulled right to the edge of the cabin door, ready to cross the threshold to another time. You do not need to be all that familiar with Edgar Rice Burroughs to enjoy The Greatest Adventure. 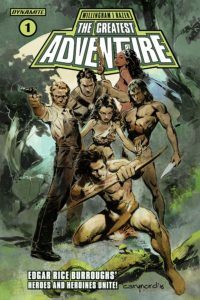 My knowledge of Tarzan is from movies, not books, and I had no idea who most of these characters were when I looked inside. 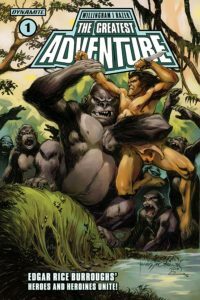 You can bet that this inspires me to add a little classic adventure to my summer reading, and am looking forward to issue two. Cover A of issue one by Cary Nord.